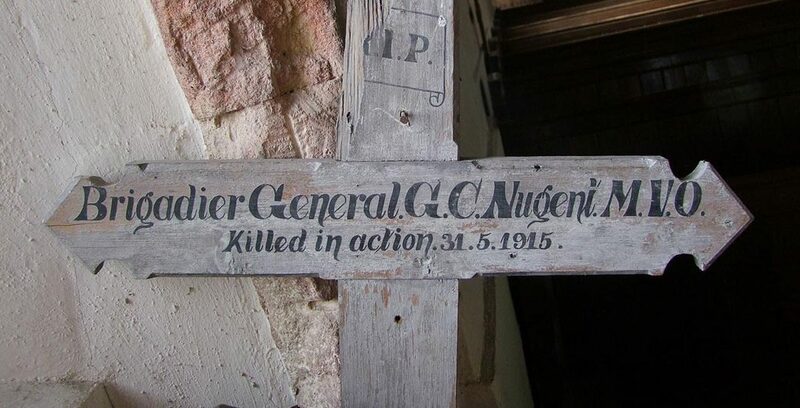 Cross appears to have been whitewashed, lettering is in black pain, some damage to the upright. Nugent was still Commandant at Dover when War broke out. But when Charles Fitzclarence, VC (who had succeeded him in command of the Irish Guards and 5th London Brigade) was transferred to command 1st (Guards) Brigade in the British Expeditionary Force, Nugent was brought back to command 5th London Brigade. In October 1914, 2nd London Division was selected for service on the Western Front and progressive training was carried out through the winter. Nugent’s 5th London Bde was the leading element of the division to land in France on 9 & 10 March 1915. 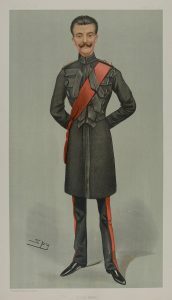 In May the division (already known in France simply as ‘The London Division’ to distinguish it from the Regular Army 2nd Division) took its place in the line and was designated 47th (1/2nd London) Division, with the brigades numbered consecutively: 5th London became 141st (1/5th London) Brigade. 47th Division took part in fighting at the battles of Aubers Ridge (9 May) and Festubert (15-25 May), but 141 Bde was only marginally involved. 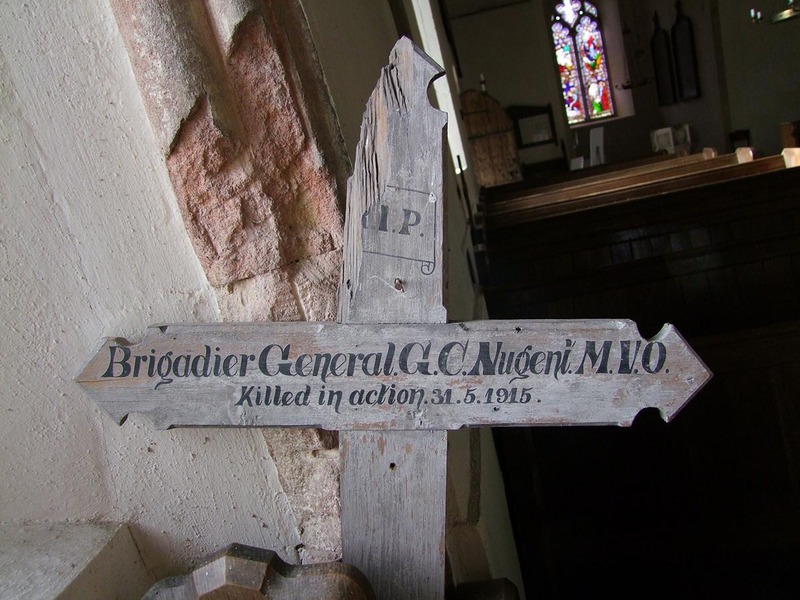 During a quiet period of trench-holding, Nugent was killed by a stray bullet on 31 May. (Wikipedia) More information. Photograph courtesy of John Vigar.